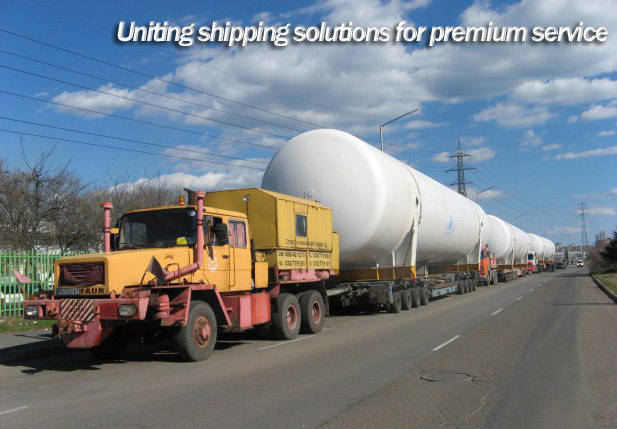 "Uniting shipping solutions for premium service"
Transport tanks from Athens to Stara Zagora. Read more ... In November 2017 Unishipping Int Ltd has been awarded to organize 14 units part of HOFOR Project for Copenhagen city. 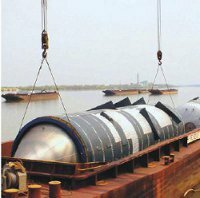 The second 12 units was shipped on 23.11 from Port of Vukovar to Constatsa Port and then transshipped on ocean vessel to Copenhagen, cyclones was with dimm each LxWxH 21,5 x 6,80 x 4,80 m=23000 kg. 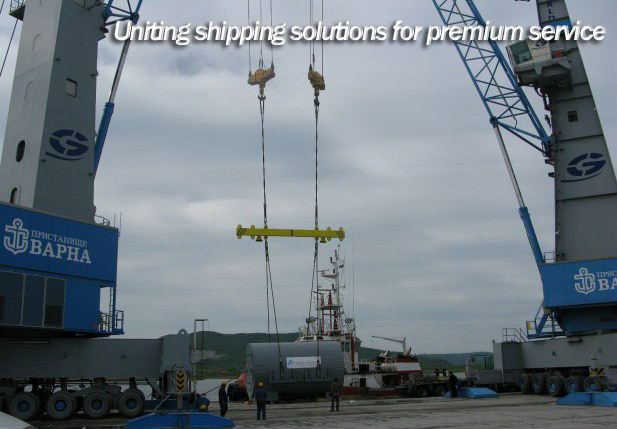 Our task was to organize all transport from Vukovar to Constatsa Port including unlashing/unwelding,offloading from barge and loading on board incl lashing/welding of cargo on board of ocean vessel to Copenhagen. The all logistics take quite some time but in the end of the day we succeed to organize all shipment smoothly for only 10 days. Read more ... 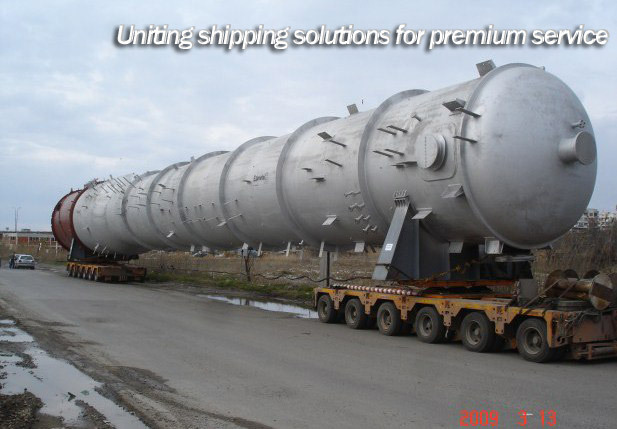 In January 2017 Unishipping Int Ltd has been awarded to relocated 6 brewery tanks with dimm 4 tanks each LxWxH 12.000 x 5.700 x 5.900 m, 18.50 to + 2 tanks each LxWxH 11.000 x 5.500 x 5.900 m, 18.00 to or Total 6 pcs/110 tons from Heineken subcontractors to relocated those 6 tanks from Athenian Brewery SA in down town Athens to Zagorka in down town Stara Zagora. Both part of Heineken Company in Greece and in Bulgaria. 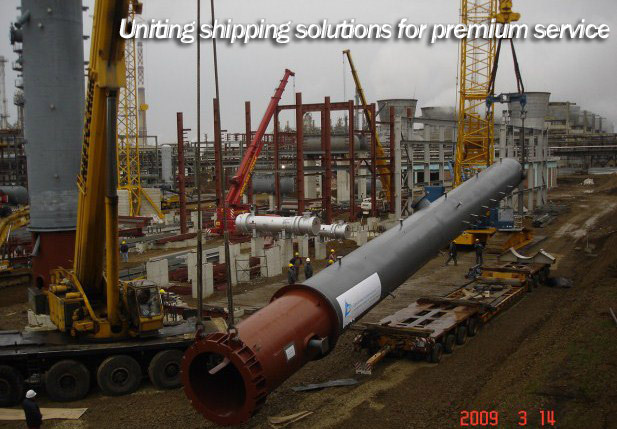 Our task was to organize all relocation including loading at jobsite in Athens on truck, move via down town to Piraeus Port, loading on sea going vessel up to Burgas Port discharging on truck, delivered to down town Stara Zagora, discharge on permanent storage area and lightly move to foundation and organize erection. The all logistics take quite some time but in the end of the day we succeed to organize all relocation for only 2 weeks only from Athens to Stara Zagora including all operations. Read more ... In December 2016/January 2017 Unishipping Int. Ltd has been awarded again to return one asphalt plant in toatal of 9 units = 200 tons all the way fm Halmeu Romania nearby Hungarian Border via Constantza Port to Castellon Spain. 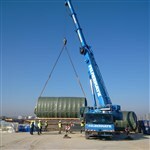 The main part of the palnt was 5 modules + 1 x 20' + 1 ? 40 and few other packages all of them oversized except containers. 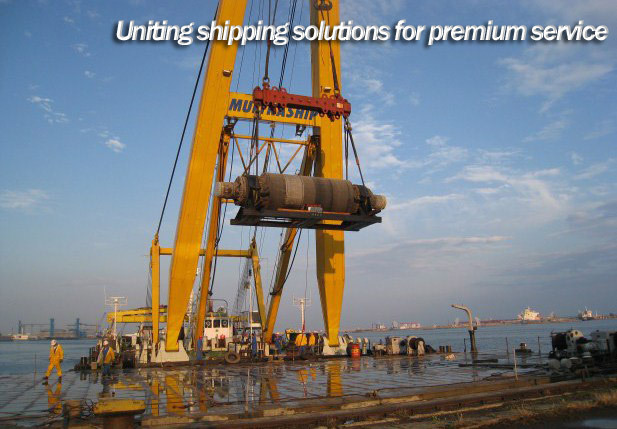 In fact we have been delivered same plant in June 2014 fm Castellon via Constantza Port to Halmeu. The bigest two units was 1 x 19.5?3.26 x 4.60 m = 54 t + 1 x 20.12 ? 3.20 x 4.50m = 54 t. Despite the heavy winter we have delivered all equipment in Constanza Port on time and beside the transport we have been ingage also in to chartering, loading/uloading, lashing, securing, unlashing,welding, unwelding all the way fm Castellon - Constanza - Castellon. Equipment for new MDF factory.